Ray Nagin the former Mayor of New Orleans entered the mayor’s office as a scourge of corruption and guided the city through its worst disaster of modern history. However, on Wednesday he left a courthouse as a convict, after a jury of his peers found him guilty of accepting bribes worth thousands of dollars as well as other favors from people looking for a break from his mayoral administration. Nagin was charged with 21 counts and the jury found him guilty of 20. A veteran lawyer in New Orleans said that Ragin was given a great deal of attention from the media as a non-politician, reformer running for the first time for office. Following the devastation of Hurricane Katrina in 2005, the onetime executive in cable television reassured those skeptical of sending money to a city and state with a history of corruption by telling them to Google him. He said no one would find that kind of stuff on his record. Now his opposition is saying to Google Nagin’s name now. 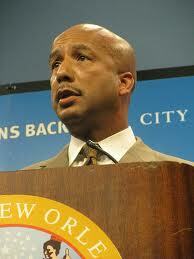 Nagin left his mayoral office in 2010 and said very little when he left the federal courthouse on Wednesday. He told reporters he maintained his innocence. Supporters said Nagin was a scapegoat and he should keep his head high. Robert Jenkins the lead attorney for Nagin said an appeal would be made on the verdict. Prosecutors argued that Nagin was the centerpiece of a scheme for kickbacks in which he was given several checks, wire transfers, cash, free travel and personal services from area businessmen looking for government contracts and favorable treatment. Nagin faces as many as 20 years behind bars. An indictment handed down in January of 2013 detailed over $200,000 in bribes given to the mayor, while members of his family allegedly were given a Hawaii vacation, airfare first class to Jamaica, private travel on jets and use of a New York City limousine. In exchange, the businesses that handed over the monies to Nagin and family, won over $5 million in contracts from the city, said the indictment. During his trial of two-weeks, prosecutors called a number of different businessmen to the stand. The witnesses already had pled guilty to giving bribes to Nagin. Observers said the defense team did little to refute the witnesses. Then Nagin took the stand and belly flopped said courtroom experts. They said he looked terrible answering cross-examination questions.